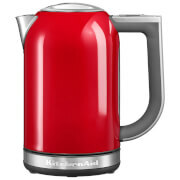 The KitchenAid 5KEK1722BOB 1.7L Jug Kettle combines stylish good looks with innovative technology. 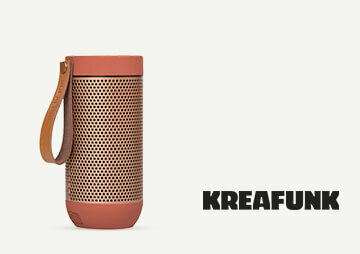 The kettle features an adjustable temperature setting that heats water from 50°C to 100°C in 10°C intervals, allowing you to set the optimum brewing temperature for herbal teas and speciality coffees. 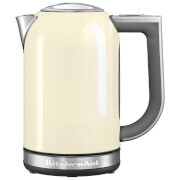 A smart temperature sensor on the handle lets you check the temperature even when the kettle is off its base and a clever ‘hold temperature function’ will maintain the temperature for up to 30 minutes. 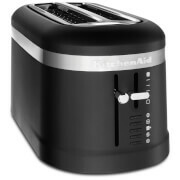 Crafted from stainless steel, the glossy design has a non-drip spout, a non-slip handle to ensure a safe and comfortable grip and is finished with the iconic KitchenAid logo.